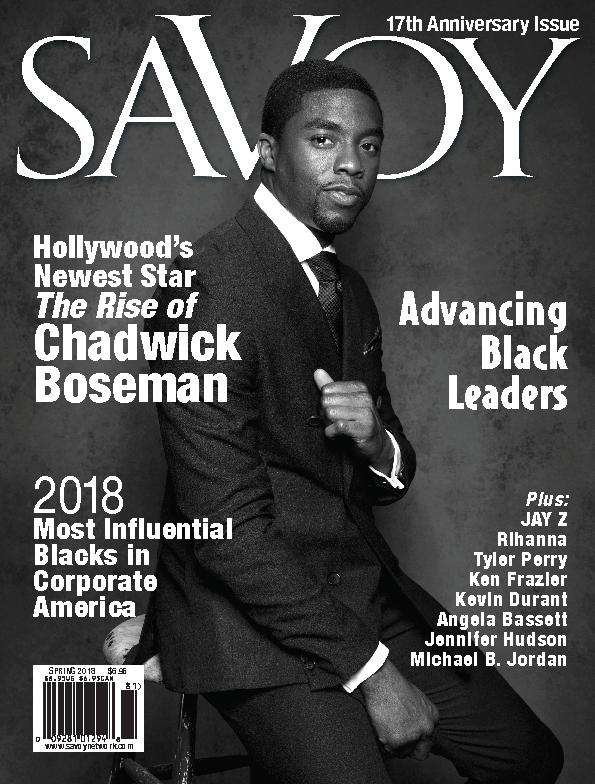 Savoy, the leading African-American business and lifestyle magazine announces its most prestigious list to date of the Most Influential Blacks in Corporate America in their Spring issue, available at SavoyNetwork.com, Amazon and newsstands worldwide. Savoy magazine announced their 2018 Most Influential Blacks in Corporate America listing in the upcoming Spring issue. Savoy’s Most Influential Blacks in Corporate America is the definitive listing of African-American executives, influencers and achievers impacting corporate America. 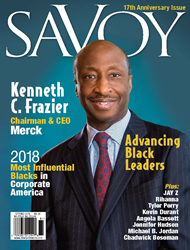 Savoy’s Spring issue features a double cover series featuring Kenneth C. Frazier, CEO of Merck & Co., with an alternate cover featuring Chadwick Boseman, star of the Hollywood blockbuster Black Panther by Marvel Studios. The selection committee includes the Savoy editorial board and community leaders with representatives from the academic and business arenas. The committee reviewed information on executives in human resources, information, real estate, finance, investment banking, diversity, foundations, procurement, business development, marketing, sales, health care, manufacturing and legal. After reviewing all of the profiles, the field of candidates was narrowed to the 2018 “Most Influential Blacks in Corporate America” listing based upon their exemplary record of accomplishments and influence while working to better their community and inspire others. Savoy’s full 2018 Most Influential Blacks in Corporate America listing is available online as of Monday, March 19, 2018 exclusively at http://www.savoynetwork.com. The Spring issue of Savoy magazine is available on newsstands nationwide. The magazine is also available nationwide via Amazon.com. Connect with Savoy via Twitter, or Facebook or LinkedIn.